The Chicago Transit Authority (CTA) is a form of public transportation that is available for anyone to use. There are over 1.7 million rides on the CTA on an average day. With the trains and buses that make up the CTA, residents from all over the City of Chicago and suburbs can travel to their places of employment or out for a night on the town safely. While riders may claim that trains are crowded during rush hour or that buses are hot during the summer, the CTA transportation system does provide a cost-effective mode of transportation compared to private cars and buses. 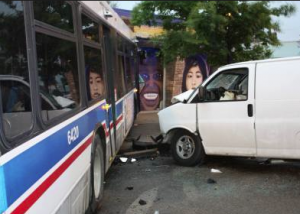 Unfortunately, accidents on CTA buses and trains or stations are an inevitable part of a system that runs every day of the year virtually around the clock. When accidents occur, and passengers, pedestrians or commuters at a station are injured, the individuals do have legal rights to recover compensation for their injuries, medical care, and lost wages. As Chicago attorneys who have represented injured people in CTA negligence cases, Rosenfeld Injury Lawyers LLC knows the complex factors behind seemingly simple cases. We believe that by aggressively investigating each accident case, we can determine the cause of the incident and the elements involved. Sometimes, our in-house investigations discover that there may be multiple causes involved: such as the manufacturer of a bus or the company who designed a station. In either respect, our goal is to pursue all responsible parties so our clients can receive the maximum compensation they are entitled to under the law. 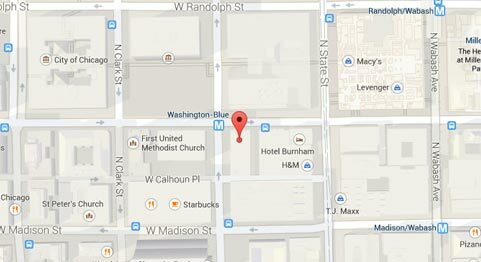 What To Do If You Are Involved in a CTA Accident? If you are involved in a CTA accident, it is essential to remain calm. Panicking will only worsen the situation, and you should try to keep a level head. If you are still on the train or bus, then you may want to use a smartphone to snap pictures or take videos of the accident. If you are not severely injured, snap photos of your injuries. These images and videos can serve as valuable evidence if you proceed to court with help from a CTA train accident lawyer. After you can safely remove you and your family members from the scene of the accident, you should get professional medical help as soon as possible. You will want to be very descriptive in telling the doctor about the injuries that you have suffered. Even if you are not experiencing any pain, you will want to make a note of whether you suspect that you are suffering from numbness, other injuries or even a concussion. Some concussions do not begin to be painful until days after an accident. Having these medical records will also help you to succeed if you need to go to trial to claim compensation. When a passenger has been injured in a CTA accident, he or she will also only have a limited amount of time in which to bring a claim for compensation. While the statute of limitations for most personal injury cases in Illinois is two-years from the date of the incident, the Illinois legislature has shortened the statute of limitations for CTA injury cases to one year from the date of the event. Put another way, if you fail to file a personal injury lawsuit against the CTA within one year from the date of the incident, your claim for recovery will be forever barred. Those who have been injured in bus or train accidents may face injuries that prevent them from returning to work. The expenses can pile up as a person is forced to miss work. It is vital for individuals to stand up for their rights and seek compensation when they have been injured. Compensation may be available to provide for lost wages, medical expenses, pain and suffering and loss of consortium. 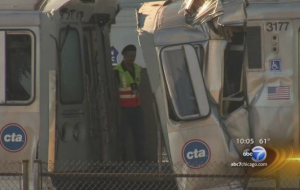 A CTA train accident lawyer can assist you in the process of calculating damages for your claim. Regardless of the type of accident that you were involved in with the CTA, you need a law firm who has experience handling these complex cases or you risk of failing to file a claim before essential deadlines expire. Rosenfeld Injury Lawyers LLC taken the burden off you and your family so you can concentrate on getting the medical care that your need. Our attorneys have represented: bus riders, train / ‘el’ passengers, commuters and CTA workers in personal injury and workers compensation cases against this governmental entity. We are proud of our track record for excellence in this cases and look forward to discussing your case and how our office can assist you. We always offer free consultations and never charge a fee without a recovery for you.